Thoughts: So Jaws is my favorite movie…if you’ve spent any time with me or read this site often that’s no shocker. I’ll also tell you that one of my guilty pleasures that I’m more than a little ashamed of is a fondness for cheesy shark flicks with bad special effects and even worse acting. 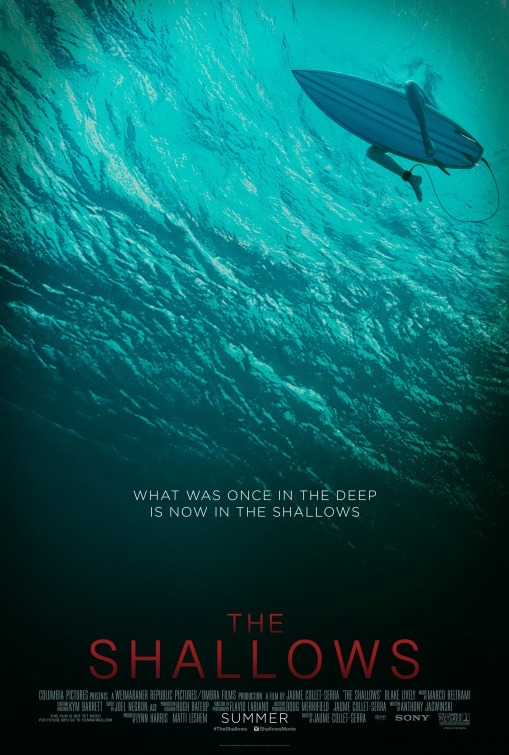 As shown by The Reef and Bait 3D, the good ones are few and far between so The Shallows represents something of a wave of excitement in my shark fanboy heart. It’s got an appealing lead in Blake Lively (Savages) and its helmed by Jaume Collet-Serra (Non-Stop) who knows his way around crafting an audience pleasing vehicle. For me, it’s all going to come down to the shark and while it’s too much to hope for more practical effects than CGI, I’d hope that it’s prime summer release date by a major Hollywood studio bodes well for its quality.